TUESDAY, April 4, 2017 (HealthDay News) -- Conservative Republicans and the White House are reportedly discussing another replacement plan for the Affordable Care Act -- one that could cut benefits for people with pre-existing conditions, according to published reports. Until now, Republican lawmakers and President Donald Trump have promised to keep the popular provision. But having failed to garner support last month for their initial attempt to repeal and replace the controversial health care reform law also known as Obamacare, Republicans have begun to consider other ways to win over right-leaning Congressional leaders. Terms discussed by the White House and the Freedom Caucus -- a group of conservative lawmakers in the House of Representatives -- on Monday evening were reported Tuesday in The New York Times. Rep. Mark Meadows, R-North Carolina, the head of the Freedom Caucus, told The Times his members would be interested in a bill that includes two significant changes. One of those changes would allow states to drop the requirement that insurers cover a minimum package of benefits, known as the essential health benefits. The second change would let states jettison the mandate that people of the same age pay the same amount for insurance. 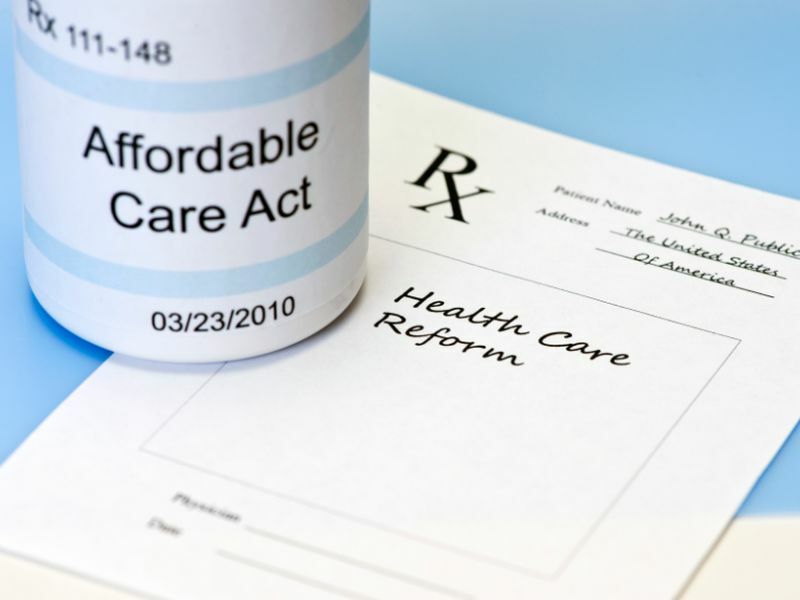 That provision of the Affordable Care Act (ACA) is known as community rating. If those provisions took effect, insurance companies would be free to charge sick people whatever they like. In effect, this would eliminate the guarantees for pre-existing conditions, although Meadows said that the provision would retain intact. Technically, that's true, The Times reported. People with cancer, for example, might still get insurance but find the insurance doesn't pay for essential treatments such as radiation or chemotherapy drugs. The proposal is still under discussion, and would need support of more moderate Republicans in the House as well as virtually every GOP lawmaker in the Senate, The Times reported. "The fundamental idea is that marginally sick people would pay with risk associated with their coverage," Meadows said in the news report. "Those that have, you know, premiums that would be driven up because of catastrophic illness or long-term illnesses, we've been dealing with that for a long time with high-risk pools." Before the ACA was passed in 2010, such high-risk pools operated in many states. People who were denied coverage in traditional insurance markets were eligible for plans at higher-than-average prices and could get help through financial subsidies from their state, The Times reported.